Valentine's Day is a time for love and, at Fastweb, we love scholarships! Valentine’s Day is a time for love and, at Fastweb, we love scholarships! To celebrate our love, we thought we’d share some amazing opportunities with our members. 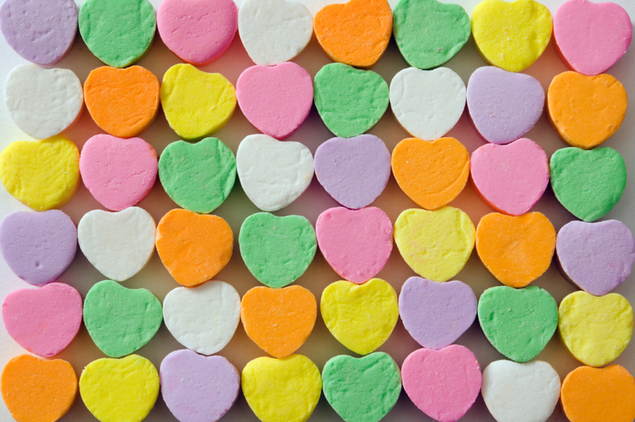 Check out these Valentine’s Day scholarships you’ll absolutely fall in love with! Ages: College Freshmen to College Seniors Award Amount: Varies The For the Love of Chocolate Foundation Scholarship is available to students at the French Pastry School. You must be accepted into L'Art de la Patisserie program, demonstrate a desire to develop your pastry art skills and have worked a minimum of 40 hours in a food service establishment prior to the beginning of the semester to qualify for this award. Selection is also based on financial need. A personal essay and two letters of recommendation must also be submitted. Get more information on the For the Love of Chocolate Foundation Scholarship. Award Amount: $1,000 The Love Your Career Scholarship is available to students attending an accredited college or university. You must submit an essay of at least 1,000 words describing at least three steps that you plan to take in the next year to start a path towards having a career that you love in order to qualify for this award. Topics may include: What are your passions that could be turned into a career? What are some ideas you have for a business based on things that you love and are skilled at? You must also interview a professional in your chosen field that has at least three years of experience. Get more information on the Love Your Career Scholarship. Award Amount: $300 The New York State Flower Industries Association Award is available to students at SUNY Morrisville State College. You must be a senior horticulture student planning to enter the flower industry to be eligible for this award. Get more information on the New York State Flower Industries Association Award. Ages: College Juniors to College Seniors The Heart of America Internships are available to upper-class students pursuing a career in hospitality. To be considered, you must live or attend school in or near Iowa, Illinois, Kansas, Omaha, Minnesota, or Wisconsin. Get more information on the Heart of America Internship. Award Amount: Varies The Marjorie J. Reed "Best Friend" Award Scholarship Fund is available to graduates (or equivalent) of Douglas High School. You must be pursuing a post-secondary education at a nonprofit, public or private two- or four-year trade school, college or university in the United States to be eligible for this award. Selection is based on academic or technical potential, honor, service to others, loyalty and a love of learning and adventure. Get more information on the Marjorie J. Reed “Best Friend” Award Scholarship Fund. Award Amount: Varies The Love's Geology Scholarship is available to full-time geology majors at Radford University. You must have completed at least four semester hours of 200-level or higher geology courses and have a minimum 3.0 GPA (overall and in your major) to be eligible for this award. Get more information on the Love’s Geology Scholarship. Award Amount: Varies The Jo Anne Marquardt (JAM) Hope, Empower, Love, and Peace (HELP) Scholarship is available to entering freshmen at California State University, Sacramento. You must have graduated from C.K. McClatchy High School and be the first in your family to attend college. Also, you must plan to enroll full-time and have a minimum GPA of 2.8 to qualify for this award. Get more information on the Jo Anne Marquardt (JAM) Hope, Empower, Love, and Peace (HELP) Scholarship . Award Amount: Varies The Best Friends Endowed Scholarship is available to entering junior and senior students at Appalachian State University. You must submit one page essay required describing yourself and best friend to be eligible for this award. Get more information on the Best Friends Endowed Scholarship.